News has reached us over the weekend of the release Twin Rivers Naked Uncut Gin, bottled at 77%. Whilst I am yet to try this new gin, I congratulate Twin Rivers on the launch, and concede that Strane Uncut London Dry Gin 76% is no longer the strongest gin on the UK market. 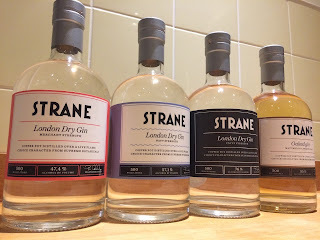 Strane Uncut London Dry Gin was first bottled back in 2014, and came about as a consequence of the unusual way Strane is produced, not a deliberate attempt to try to produce the strongest gin. 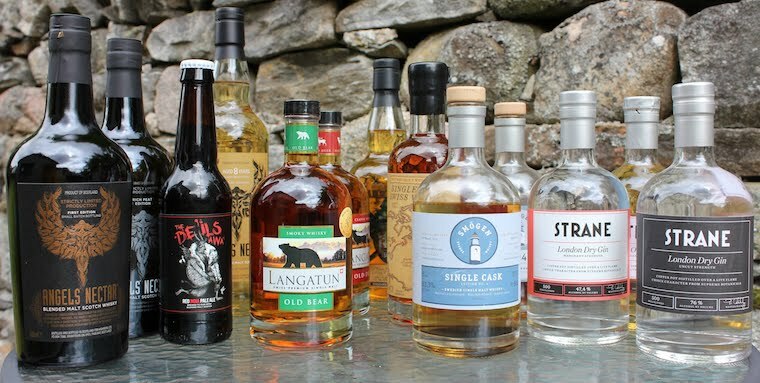 Looking to preserve the intensity of the flavours in gin distillation, Pär Caldenby, distiller/ proprietor of the Smögen Distillery, developed a methodology in which three base gins; citrus, herbal, and juniper are distilled with the same 12 botanicals but in different ratios. The bases are then blended before the addition of water to create Strane Merchant Strength London Dry Gin 47.4% and Strane Navy Strength London Dry Gin 57.1%. As Pär Caldenby blends the base gins straight from the still, he became accustomed to sampling Strane ‘uncut’, and decided to create an ‘Uncut’ addition to the Strane family. For Pär, ‘Uncut’ refers not just to the consequential high strength, but also to the intensity of flavour. Strongest gin or not, Strane Uncut 76% remains the original Uncut gin, and delivers a wonderfully powerful juniper burst, which we believe gin enthusiasts will continue to enjoy.